The coach was repainted in 1997 into the older lined SR green, so looks very similar to 1098. This coach was built very solidly, if simply, to carry London commuters. Having 10 seats in each of its ten compartments, it is known as a "Hundred Seater". When these services into Kent were electrified it migrated onto branch-line services. It was piped through for push-pull working at Lancing in April 1958, and ended its days used as a "strengthener" on the Horsham to Brighton (via Steyning) and Horsham to Guildford services. It was condemned in September 1961. Seven similar coaches were still in daily use in 1960 attached to sets of more modern Bulleid coaches on services from Tunbridge Wells West, Forest Row, and East Grinstead in-to and out-of London Bridge. It came to the Bluebell in 1963, and has therefore been in operation for longer now on the Bluebell than it was on the main line railways. With nothing more than routine maintenance, painting, re-trimming of the seats, and a new roof-canvas and the re-bedding of the windows in 1979, it has been in fairly continuous service since its arrival on the Bluebell, a testament to the quality of its design and construction. 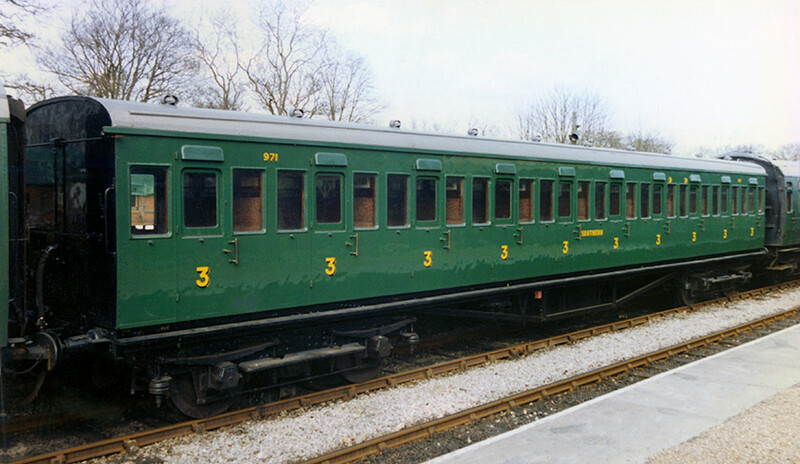 In 1997 it received a second new Bluebell roof canvas, new draw-gear, and was repainted into the lined Maunsell olive green that it carried in the 1930s, having been amongst the last SECR coaches to be repainted from that railway's plain brown post-war livery. 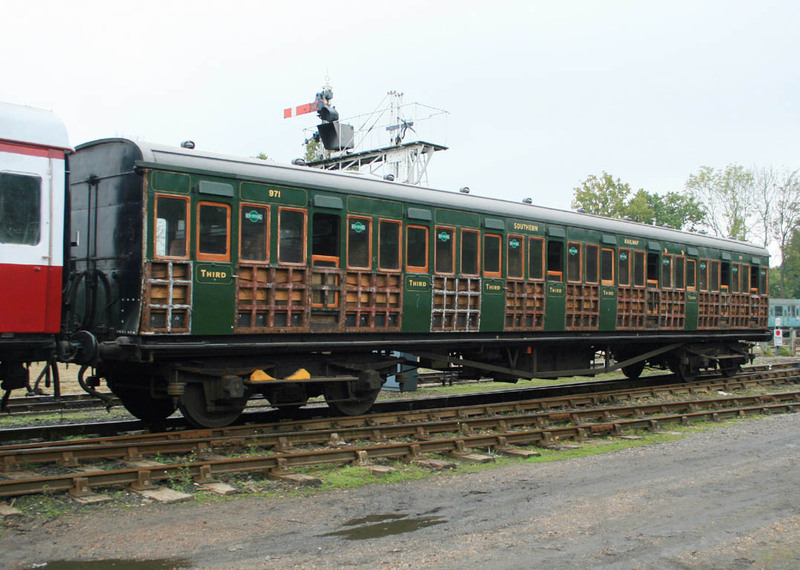 In 2007 the coach was withdrawn for what was expected to be a quick repanelling exercise. 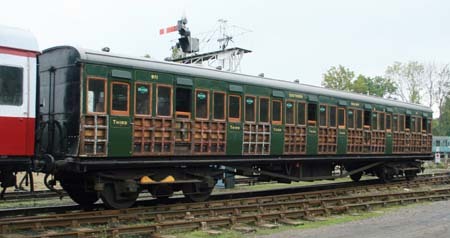 The work required (where the bottom-side had split due to corroded bolts) having been found to be much more extensive than had been allowed for, the carriage has been tarpaulined over and awaits a budget allocation for the work, which would probably also have to include major repairs to the rotten roof and partitions, and re-trimming of the seats. Photographs and further details are available here. Go to a full article about the two Hundred Seaters, as part of the Carriage Fleet Review.